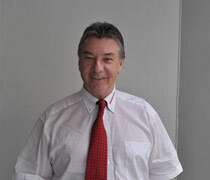 Charl Vermeulen has been promoted to Dealer Principal of HONDA Claremont effective January 2013. Charl was Sales Manager at HONDA Cape Town for the last 2 years, having previously been Regional Administration Manager for Mekor Western Cape. He has been with the Mekor for 12 years, initially employed as Administration Manager at HONDA Cape Town, then Administration Manager for HONDA Tygerberg - after which he took total responsibility for MEKOR Western Cape’s Administration. Charl says will never leave the Honda brand, and naturally drives Honda cars. He drives his Honda through Newlands from Milnerton every day. Outside work he is a Husband, Father, Stormers fan, keen chess player, and his Faith is very important to him. 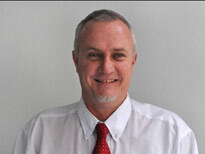 Denis van der Linde is now Sales Manager Honda Claremont, having been transferred from Honda Cape Town CBD. Denis is in the 10th year of service with the Mekor group. Has over 30 years of successful trading in the motor industry. Has a long standing relationship with the Honda Brand. He was employed by Midmacor in Johannesburg who were the importers of Honda motorcycles in the mid 1980s. He then joined Executive Cars in Randburg specialising in sales of exotic and executive cars becoming a partner and director after four years service. Denis moved to Cape Town in 1997 as Dealer Principal for Ssangyong in Greenpoint and Somerset West. He joined HONDA Cape Town is 2003, initially ‘’just to help out’’…..
Denis has 3 children, 2 sons and a daughter, and is grandfather to Ava and Enzo. He is passionate about music and attends many music concerts, lives in Bloubergrant near Table View and drives a Honda Accord.